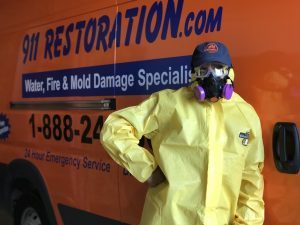 The water damage Tahoe team at 911 Restoration Tahoe is determined to make your well-being our number one priority when our staff is called to remediate a home disaster. Our specialists ensure that they will provide homeowners with the highest quality customer service experience in the industry, no matter how big or how small your emergency may be. Water damage tends to lead to mold growth when it goes unmitigated, so our water damage Tahoe crew is available 24/7/365 and will arrive within 45 minutes to cleanup your water damage. Call our water damage Tahoe team works with IICRC certified workers, and when you need fast and efficient home remediation on a moment’s notice, you can depend on us to get your home back to normal quickly. The winters can be very cold, and our water damage restoration Tahoe techs know this can influence the home in many different ways, with a leaky pipe causing moisture to cause permanent damage. When water in the plumbing system freezes, our water damage restoration Tahoe team knows that it can cause the pressure to build up in the pipes, creating a burst. We are well-versed in remediating all other causes of water damage, and will use the most advanced services in the industry to get your home looking like it was never infiltrated by water, so call us today. Our experts know exactly how to correct all issues associated with water infiltration in order to stop any mold growth. Having been in the industry for many years, we know all the ins and outs of practically every type of home sewage system. When we are moving in and out of your home, we will be sure to treat it like it was our own. 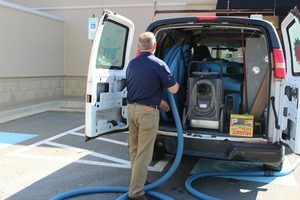 Through all the experience of our sewage backup cleanup Tahoe experts, we have come to realize that there are mainly three major reasons sewage problems occur- clogged pipes and drains, damaged sewage system and old, deteriorating sewer lines. Fortunately, our crews are constantly standing by and know how to remediate all causes. Our sewage backup cleanup Tahoe unit uses professional grade equipment to help our sewage backup cleanup Tahoe operation extract all traces of moisture from your home, so call us today! 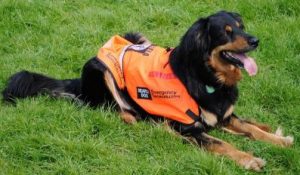 We understand how overwhelming a home fire can be, especially when you are left to observe the aftermath on your own. Our fire damage restoration Tahoe pros never want you to feel alone during a time like this, which is why we do whatever we can do be at your doorstep as quickly after the fire has occurred as possible. Once we get on the scene, we will survey the scene to inspect the extent of the damage and decide what services need to be provided. Our fire damage restoration Tahoe crews will remove smoke stains and odor, cleanup all tar and ash and remediate any water damage that was left by the fire hoses, so call us as soon as the fire department has left your home. The disaster restoration Tahoe group is qualified to prove to our customers that we will do everything we can to protect them after their home has been struck by a disaster. Our experts are fully equipped with the most state-of-art machinery to handle water, fire, smoke, mold and any other type of disaster damage that struck the property. The disaster restoration Tahoe members are well-trained in remediating every imaginable disaster circumstance, and we know that in many instances water is involved, which is our specialty. So, call us when your home has been affected by literally any disaster, and our disaster restoration Tahoe techs will go the extra mile to completely repair your home in a timely manner. No homeowner is as prepared as they think they may be when a leak or flood causes mold in their living space, and our water damage Tahoe specialists are aware of the sensitive nature of the situation. Our water damage Tahoe pros want to make sure you feel at ease once our crews are on the job, that way you can focus on the successful outcome, instead of the immediate problem at hand. We make this process easy, since we take on all responsibility of the water cleanup as soon as our operation arrives on the damage site, including financial issues, such as assisting you with your homeowner’s insurance. Homeowners can rely on us to help you with literally anything during the remediation process, so call our water damage Tahoe techs at 911 Restoration of Tahoe today.